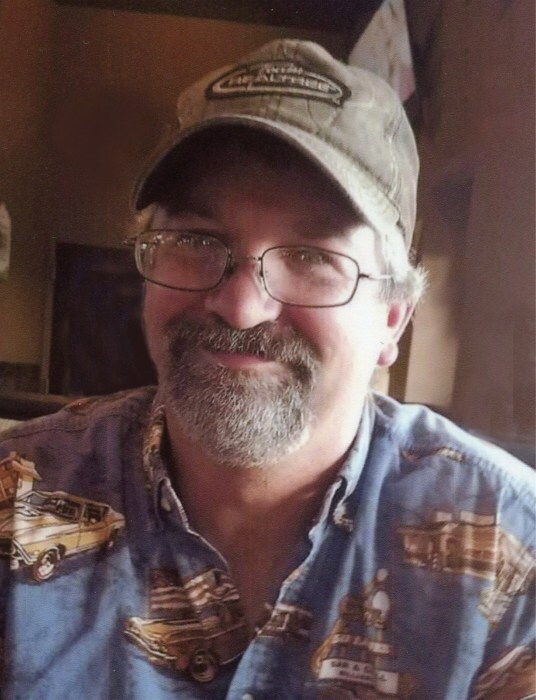 Patrick “Pat” Myslicki, age 50, of Glenwood, MN, died unexpectedly, at his residence, on Saturday, February 2, 2019. Mass of Christian Burial will be at 11:00 A.M. on Friday, February 8th at Sacred Heart Catholic Church in Glenwood, with Father Joe Vandeberg officiating. Visitation will be from 5:00 – 7:00 P.M. on Thursday at the funeral home in Glenwood, with Parish Prayers at 7:00 P.M. Visitation will continue at the church on Friday, one hour prior to the service. Inurnment will be in Maple Knoll Cemetery, Maple Grove, MN, at a later date. Arrangements are with Hoplin-Hitchcock Funeral Home of Glenwood. Patrick Michael Myslicki, son of Lawrence “Larry” and Maureen (O’Rourke) Myslicki, was born on January 16, 1969, in Minneapolis, MN. The family resided in various suburbs of Minneapolis before settling in Maple Grove, where they raised Patrick and his younger brother, Daniel. They were members of St. Joseph the Worker Catholic Church in Maple Grove. Pat attended school in Osseo and was a 1987 graduate of Osseo High School. While there he was involved in shop class where he built a beautiful, full-sized, blue metal flake canoe. Following high school Pat attended vocational school to study auto body repair. Afterwards, he moved to Kenosha, WI, where he worked for a couple of years before settling in New Hope, MN. During this time he was employed as a machine operator at LDI in New Hope, and worked part time at various restaurants in the area. It was at one of his part time jobs that Pat ran into Colleen Miller, a young lady he’d known years before. The two began dating and, on October 20, 2000, they married at St. Alphonsus Catholic Church in Brooklyn Center. The two first made their home in Maple Grove and Crystal, before settling in Glenwood in 2006. Their marriage was blessed with two sons, Adam and Alexander. Pat was employed at ITW Heartland in Alexandria, and had previously worked for Donnelly Custom Manufacturing in Alexandria. In addition to his full time employment, Patrick often worked part time jobs in restaurants or food service settings. Most recently, he was working weekends in the deli at Tom’s Market in Glenwood, alongside his son Adam. Pat’s hobbies included restoring older cars and attending car shows. He also enjoyed fishing, hunting, riding motorcycles, playing softball, and attending his son Adam’s baseball games. Each year Patrick looked forward to spending time up north at Wilderness Point Resort on Middle Cullen Lake with Colleen and the boys and his extended family. This was more than just a family vacation; it was a Myslicki family tradition, dating back to when Patrick was a child. Recollections of those trips will now become treasured stories that will keep Pat alive in the memories of those he was closest to. All who knew Pat will remember him as a loving son, husband, father, brother, uncle, and friend. He was handy and had a big heart; always quick to offer assistance, be it with needed car repairs, or by shoveling snow or mowing someone’s yard. One recipient of his generosity described him as an “Earth Angel”, a fitting title for such a loving and generous man. Pat died unexpectedly at home on Saturday morning, February 2, 2019. Blessed be his memory. Patrick is survived by his wife, Colleen; their two sons, Adam and Alexander, both at home; his father and step-mother, Larry and Mary Jane of Mounds View; his brother, Daniel, of Mounds View and Daniel’s children, Dylan and Lindsey of Champlin; a step-sister, Tina (Mike) Mech; a step-brother, Tom (Sandra) Deutsch; his mother’s husband, Ron Billstrom; along with other relatives and friends. He was preceded in death by his mother, Maureen O’Rourke (Billstrom) in 2016, and his grandparents.